It is absolutely unbelievable that I’m actually in this place. Not only that I’m here, but that I’m doing what I’m here to do. I came to Petra for the first time almost two years ago as part of the BYU Jerusalem Center study abroad. I remember the preparation we received prior to our Jordan trip, and how we were told that we would want to see as much of Petra as we possibly could during our single day here. Our professor put up a map of the city and outlined some of the major sites we would want to see. Nothing, however, could have prepared me for the grandeur of this ancient city of rock. I fell in love with it immediately. The exit to the siq, with an enticing glimpse of the famous Al-Khazneh. For that reason I have been so anxious to return—to relive my first visit, only extended from a single day to a six-week excursion. And now, here I am. And not only do I get to visit it every day, come to know this city intimately, and help discover and preserve its wonderfully rich history, but I actually get to _live_ here. Not inside the city itself, mind you, but in a Bedouin village overlooking central Petra. Every morning I wake up to an incredible view of the ancient city, often to the music of the Muslim call to prayer that I find so beautiful. It’s all sometimes too much to believe. My room with a view of Petra out the window. 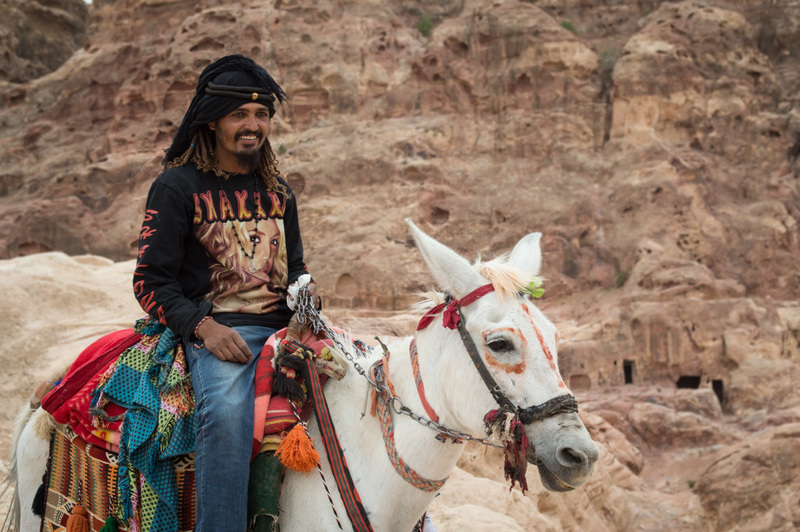 These Bedouin, who form a tribe known as the Bedul, lived in Petra itself not long ago. They lived in the ancient caves and controlled the markets for souvenirs, donkey rides, and other tourist attractions that still line the streets. 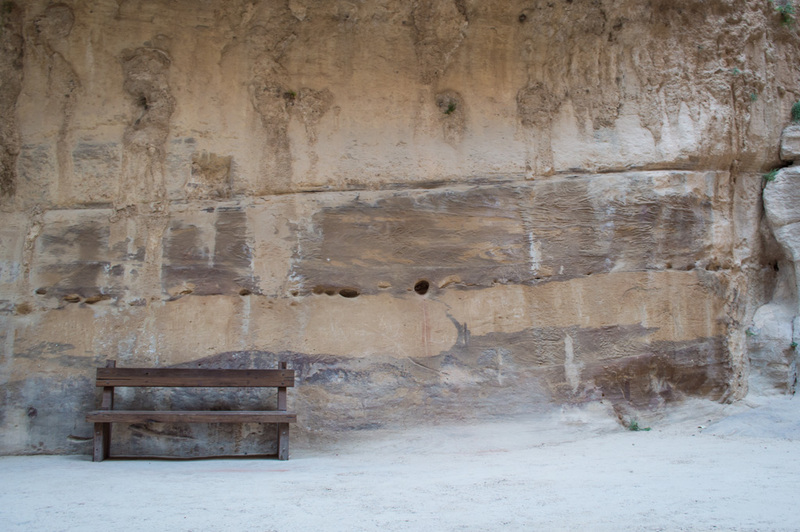 But after Petra became a UNESCO World Heritage Site in 1985, the Jordanian government relocated the Bedul to Umm Sayhoun, a village adjacent to Wadi Musa. It’s this small village that will be my home for the next few weeks. Most of the Bedul I’ve met were born in the caves, but they’re now building their lives here. 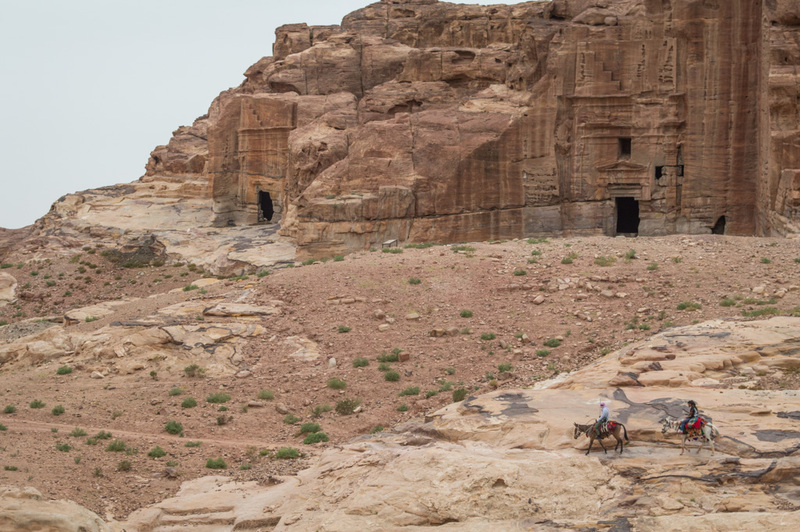 They still go down to Petra each day and make their living off of tourism, but are no longer allowed to live in the Nabataean capital. Today I also made some new Bedul friends. One of the students has been getting to know the women who cook our meals, and I’ve been telling her about how much I wish I could get to know them too. It can be difficult to become friends with the natives, particularly the women, because of strict cultural boundaries that I don’t fully understand and that I don’t want to overstep. But today while they were preparing lunch, I was invited to go talk to them! I spent a good hour and a half or so in the kitchen chatting and laughing with these wonderful women. They were very open about all sorts of things, including the old traditions that they love and the ones that they want to change. They explained how much things are changing, even among the Bedouin, as new generations arise that are educated, learn English, and have access to the knowledge of the world via the internet. I found it fascinating to see these women, in their beautiful, traditional, Bedouin dresses, pull out their phones and show me pictures from their Facebook accounts. A young Bedouin riding through Wadi Mataha. There is something very special about this place. The Middle East has a very different feel than anywhere else I’ve been, and it’s a feel that I find strangely like—well—like home. I love the warmth of the people, the smell of home-cooked meals full of spices, the children who seem so free—always playing out on the street, dirty, and happy as can be—and the vast landscapes of red desert, shrubs, and wild goats. I love the sense of family and community that is so strong in this part of the world. I love that a people so poor in material comforts and so aged by hardships that are clearly visible in each of their faces, are so quick to laugh and enjoy their moments together. I love the religious devotion, the love for God and his constant blessings, the love of prayer and fasting and scripture—things that bind them together and increase their love toward one other. 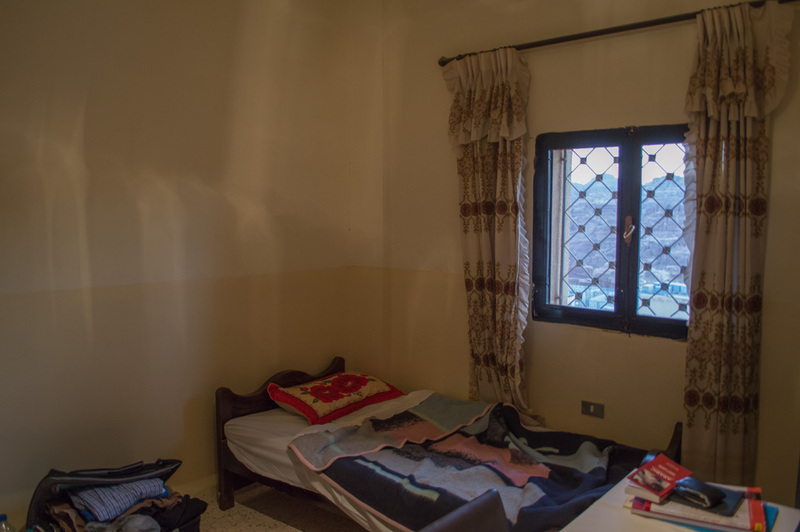 So far we’ve only been preparing for our excavations by touring around the city, getting accustomed to our new home, and doing lots of readings and homework. But tomorrow we begin the hard work. Tomorrow we will actually be taking equipment up and beginning to set up our work areas. The group has been divided into two crews, one to begin work with Dr. Johnson in the tombs of Wadi Mataha, and the other to start with Dr. Finlayson on the Ad-Deir Plateau. I’ve been assigned to the Ad-Deir Plateau. In a few weeks we’ll rotate and get to work in the other area, which will allow us to experience two different ways of doing archaeology under two different site directors. The tomb on the right is the one we will be excavating under Dr. Johnson. What do I hope to get out of all this? Well there is certainly quite a bit that I expect to learn and experience. My expectations range from developing technical skills of archaeology, to understanding the history of the area better, to getting to know the modern people who live here today. 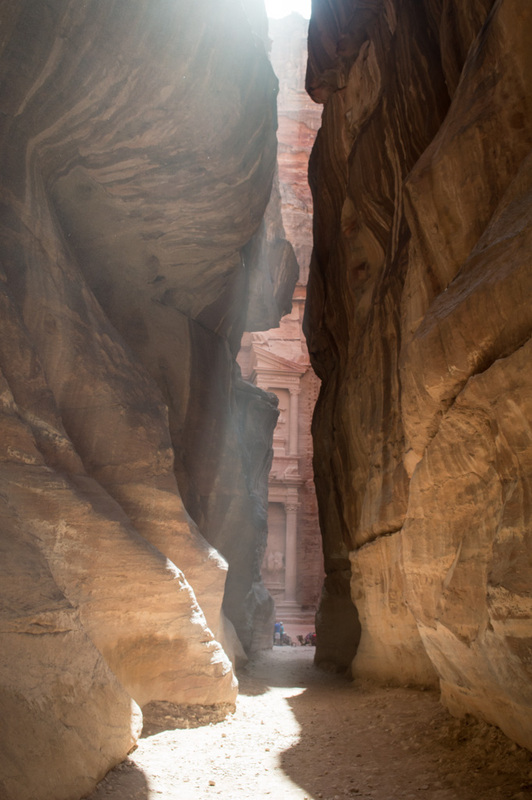 You could say that for me it’s about the people—the ancient Edomites, Nabataeans, and Romans who once roamed this land, and the living, breathing Bedouin people, for whom Petra is their livelihood and home. I am a firm believer that there is so much to learn from all peoples and cultures, regardless of where, when, or how they live. And this is about the greatest opportunity I could ask for to do just that.